Customer Desk is a web-based portal specially designed and developed for customers. 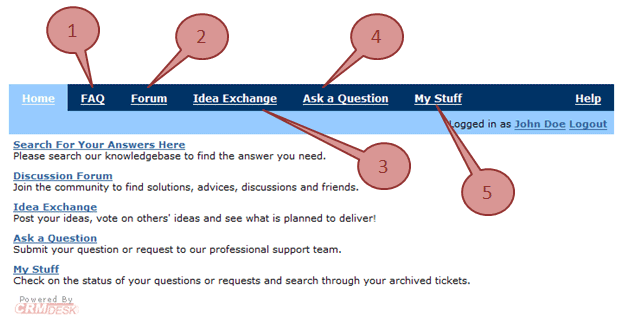 It allows them to ask questions filling in an integrated form directly on your site. Customer Desk appearance may be customized to completely match your corporate Website look and feel. Section for customers communications and discussions. 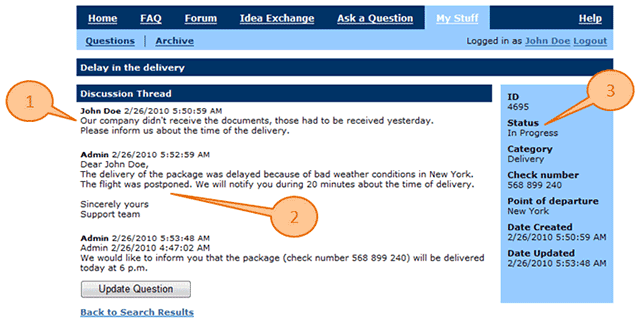 Customer interface to create and submit support requests. A customizable customer requests submission form. Customer’s file attachment related to the issue. 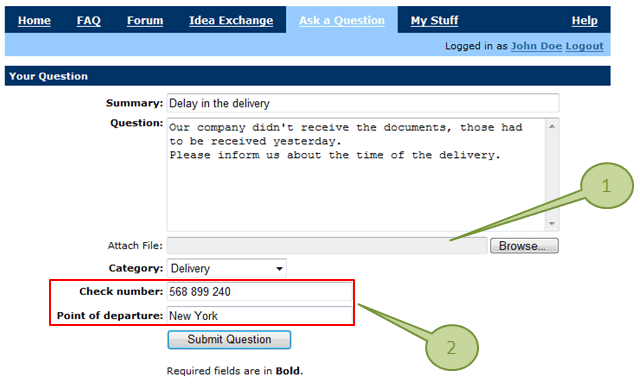 Custom fields, added by your support team to the question submission form. CRMdesk’s Email Interface may retrieve emails from your support mailbox, so your customers may submit and update their requests via e-mail. Customer’s email request sent to your support mail box. All the email attachments are getting attached to the ticket as well. 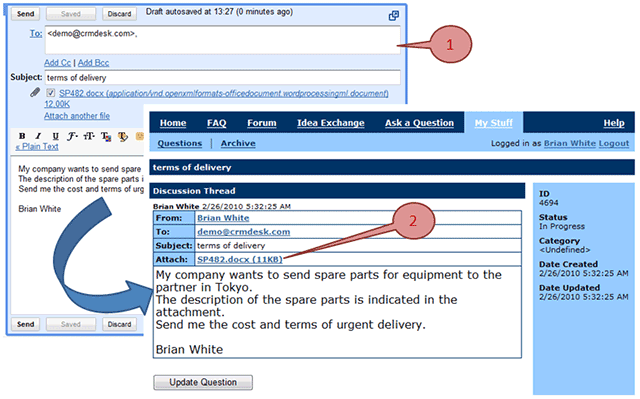 Each discussion thread contains an entire communication, related to each particular ticket/question/request where all the customer’s questions and support staff’s responses, including attachments, as well system protocol stamps are embedded. Customer questions that haven’t been closed. 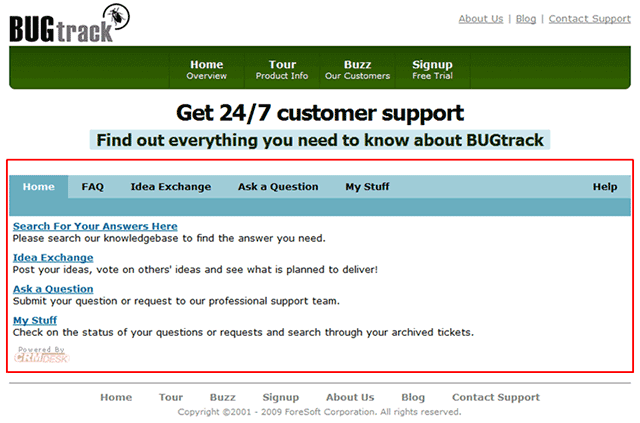 Customers can search through their questions. All the closed questions are stored in the archive.